The possible range of online retail platforms range from what we can see at Amazon to what we can see at Rocket Internet. Rocket Internet follows a traditional international strategy. The Berlin based company builder is creating local companies to leverage “network efforts more within a country, instead of globally”, in the words of Rocket Internet CEO Oliver Samwer. Rocket Internet’s mission statement is still “To Become the World’s Largest Internet Platform Outside the United States and China”. “Platform” here refers not to what we normally talk about these days1 but to synergies in the back-end: Marketing, localization and general execution efforts and technology and access to capital. This may have looked all good and fine on paper but it doesn’t seem to be working too well. Rocket Internet’s approach means the consumer facing side has to be build again and again more or less from scratch with every new company the holding is starting up. In fact, the main problem for Rocket Internet is that once you have a successful company, that company ‘exits’ via IPO or other means and thus it outgrows Rocket’s portfolio. There is, then, nothing left to leverage to get to the next level. Zalando is the main example of a very successful company coming out of Rocket and now being its own master for some time now. They can leverage the vast amount of Amazon customers with credit card information already provided. When it makes sense they can live inside Amazon Prime. Amazon for example is building out Amazon Prime as a means to create loyal regular customers. Prime works as a big giant bundle, which is more than just faster delivery. One main part and driver of new Prime subscriptions is Amazon’s Prime Instant Video. Here a global strategy gives Amazon quite a lot of advantages. Video like any content business is defined by high upfront fixed costs (production cost or licenses) and very low marginal costs. Hence this becomes economically more attractive the more it is spread out to as many customers as possible. So: Amazon produces original TV content once (high costs), and then makes this content available in all markets where Prime and Prime Instant Video are available. The upfront costs are spread out globally. The more markets Amazon can do this in the better for Amazon. This way, Prime becomes attractive in a way that is hard to copy. Now Amazon is in a position with Prime to offer services and use cross-subsidies across its services to attack companies in a manner that is hard to counter. This creates tremendous opportunities for Amazon to bring forth asymmetric offers. Everything Amazon builds now can in the future be accessed by the company’s own platforms from Alexa to Fire TV to the Dash platform. Now all this about Amazon may seem obvious. It becomes obvious now how far reaching the drawbacks of Rocket Internet’s approach are on a high level. You may cleverly reuse back-end technology and apoint marketing and development professionals to the businesses most needed but the facts remain: All too often you start from scratch again and again and again. Rocket Internet as whole will never reach the same level as an Amazon or an Alibaba because the approach the company has chosen will keep holding it back significantly. Nothing of this is new to readers of Early Moves. It was just a rather long introduction to a closer look at Zalando’s platform. But what I didn’t account for was how difficult it would be for the company to combine Zalando’s brand and a more open/plattform/marketplace approach. 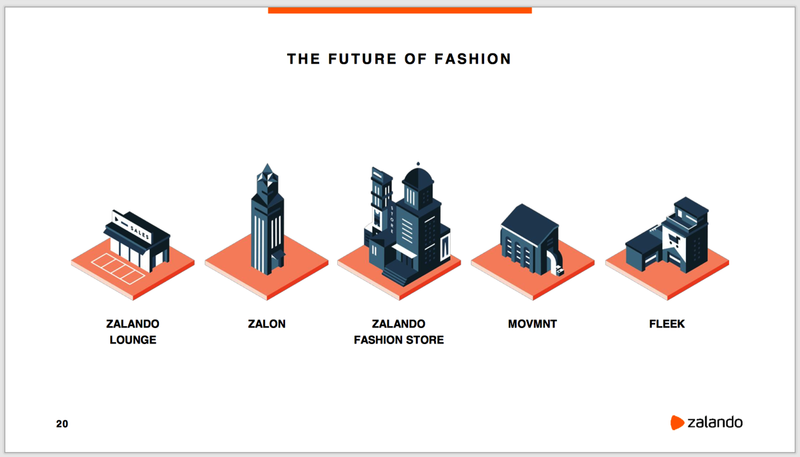 When we look at the consumer-facing pillars of what Zalando sees as the company’s future, we can identify two distinct groups, as I recently wrote: Zalon (a stylist network/curated shopping), Zalando Lounge (shopping club) and the main shop Zalando. The second group consists of Movmnt and Fleek, two new mobile marketplace apps. Movmnt, an outlet marketplace, is aimed at the low end. Fleek, with its social shopping approach towards brands, is aimed at a fashion consient young audience. Now this only works profitably with optimized processes and at a certain scale. It is something you can not expect from smaller merchants and brands hopping on the marketplace train with Movmnt and Fleek. Hence, Zalando has been reluctant to associate itself towards its customers with its own future mobile ‘pillars’. The solution Zalando has chosen is one big companies are known for: Let’s throw money at it. Let’s buy ads. But these are all advantages on the back-end and not on the consumer-facing side. There, Zalando has to work itself to the homescreen of every user like every one else. How costly is it going to get if you have to do that with every app you release all over again from scratch? Can this be sustainable eventually? If nothing else, this approach limits the amount of apps Zalando will be able to successfully establish. Looking at Fleek, the question arises if it is even necessary for Fleek to be marketplace. Could the app not ride on Zalando’s vast inventory, being ‘just’ another front door? 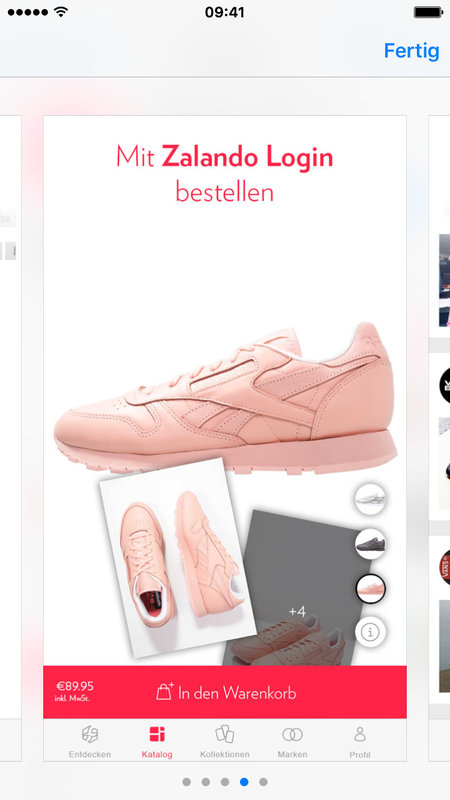 And, looking at the timing, would it not have made more sense to set up Fleek as another Zalando app? In the beginning, cross-promotion at Zalando could have pushed Fleek forward. Be the time “Fulfillment by Zalando” is ready, Fleek could have slowely being turned into a marketplace whilst giving participating merchants the option to go with Zalando’s logistics, or their own if they are up to it. Then Fleek, the marketplace, offers the same Zalando is famous for: Free shipments and return shipments, no matter what the customer orders. One could argue that this would make sense for Fleek but not for Movmnt (given the latter is aimed at the low end of the market). So why not going with different strategies here? I guess this is getting debated heavily within Zalando. Because it is not at all clear what the best approach may be here. All this suggests strongly that Zalando management is still unsure about how to connect the main Zalando brand and shop and the new mobile apps to create a common platform. Compared to this, the back-end side of things is pretty straight forward to figure out. A traditional mulit-product approach, combined with an effort to use synergies and scale effects to build out a (more) diversified mix of sources of income. We provide the fundamental technological infrastructure and marketing reach that helps brands leverage the power of the internet. Currently, we operate the Zalando Shop, which sells around 150,000 styles from over 1,500 brands. Owning almost the entire inventory, we engage in direct sales to the customer. We also let selected brands sell their products directly on our websites via our partner program. In this model, we connect the customers with the brand who then sells directly to the customer. We receive a commission on the sale, and the brand is responsible for the delivery process. With our platform strategy, we will increase the opportunities for brands to sell their products directly through our websites and mobile apps. We believe that such opportunities can take various forms, enabling different groups of brands to sell their merchandise through our ecosystem, e.g. branded / unbranded market places, different kinds of production models or custom-designed tools that connect the offline world to the online world. Ultimately, this is going to work out fine for Zalando. Media solutions and differentiated marketplaces additionally to the traditional shop will add up very well. But, going back to the comparison between Amazon and Rocket Internet and how much more options the former has for smart business models, it makes one wonder how much potential Zalando may be giving away by not becoming a strong consumer-facing platform in its own right.